Whether it’s for a person or a school or company, 25 years of existence is reason to celebrate. ICM is no different! Since ICM’s humble beginnings, 1,000,000 million beneficiaries have been impacted by the core Transform program, and 100,000,000 individuals have been positively affected during ICM’s 25 years. None of this impact would have been possible without the scores of pastors and ICM staff that have dedicated their time, energy and hearts to reaching the ultrapoor. In honor of them, Dave and Deanna Sutherland along with other staff and friends are traveling to the ICM bases in the Philippines to join anniversary events with the local staff, pastors, and supporters. Soon the formality dissolved into shrieks and laughter as attendees competed to earn colorful tickets, the currency of the night’s auction. Guests frantically checked their clothes for yellow, one of the ways to earn more tickets. After seeing the array of auction prizes sponsored by generous donors, the attendees were eager to get as many tickets as possible. After all the tickets were handed out, national-champion (USA) auctioneer Christine Duininck stepped up to start the live auction. She warmed up the crowd and started the bidding with a shiny, red bike. As the crowd caught on, a fierce bidding war broke out over a guitar. Puzzled looks transformed into laughter when the Jollibee boxes to be auctioned turned out to be holding baby chicks! The winner got to take home chicken feed and a cage along with the chicks. The live auction was followed by a silent auction. At each table, guests anxiously watched their tickets, hoping for their numbers to be called. 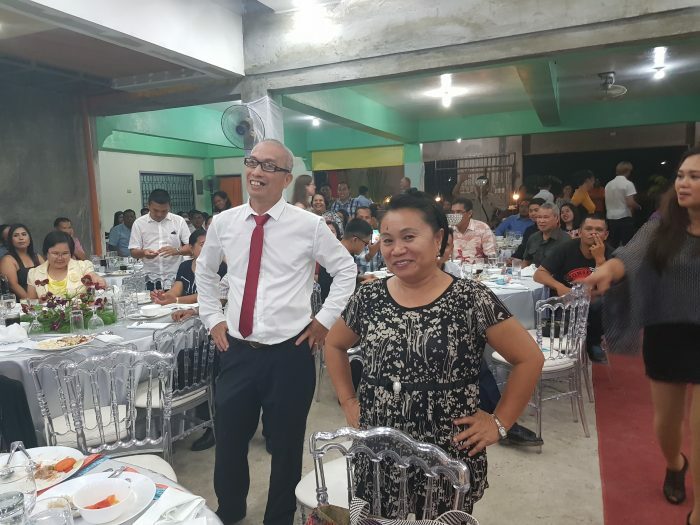 The grand prize, a new motorcycle, was won by an ecstatic pair – JR and Jun Mark – Livelihood Trainers who had pooled their tickets to increase their chances. After the last prize winner was announced and a group photo taken, it was time to go home. People lingered in groups around the room, laughing, chatting, taking pictures. 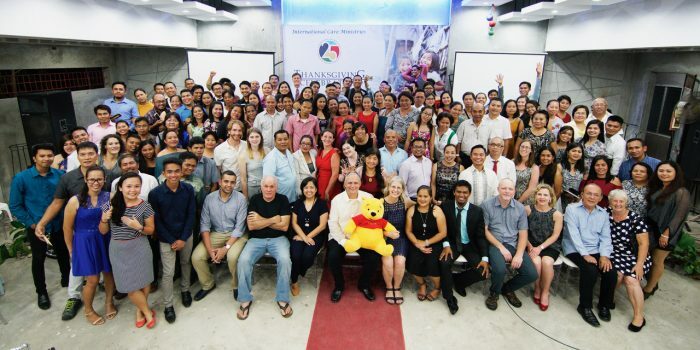 Staff and pastors who had sacrificed so much to make a difference in the lives of the ultrapoor were able to relax, have fun and celebrate 25 years of hard but meaningful work. Definitely a night to be remembered.